MELBOURNE, Australia - June 13, 2018 - PRLog -- Melbourne Comprehensive Eye Surgeons (MCES) are committed to providing high-quality eye care with a dedicated focus on patient care. MCES embodies the vision and efforts of two passionate surgeons, Heathcote Wright and Nima Pakrou. Their mission is to provide everyone with access to the highest quality eye care at an affordable price. To achieve this, they built a purpose designed facility of the highest quality that recently won an award for best medical fit-out in Australia. Combined with state of the art equipment and highly trained and professional staff they are able to deliver on their promise that each and every patient receives personal and specialised eye-care of the highest quality at an affordable price. Finding affordable eye care can be daunting, however, MCES provide a stress-free solution. They have created packages tailored to patients' specific needs. Fixed-price packages cater to a number of conditions including cataract, glaucoma, macular degeneration and diabetic retinopathy. Specialist consultation and all investigations and procedures that are needed on that initial visit are included in the low fixed fee, ensuring that you will not be surprised by any out-of-pocket costs. MCES are dedicated to giving back to the local community though their monthly charity donations that allow patients to select from local and national and international charitable organisations. 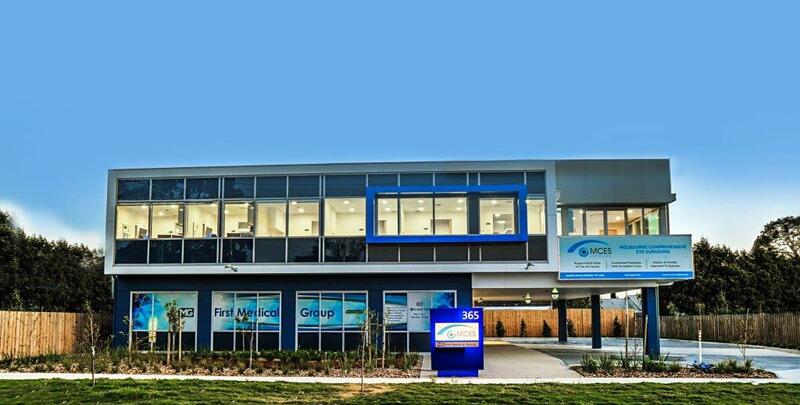 The clinic was recently named Best Medical Fit Out in Australia for 2017/2018. The design emphasis on ensuring ultimate patient comfort and creating a relaxing environment that can help put patients at ease was an important factor in receiving this award. On June 1st staff commemorated the year's accomplishments by celebrating their first birthday with an enthusiastic group of people including local optometrists that have worked with MCES over the last year to help develop their vision of providing high quality eye-care to the local community.